Fire. Some say it is a symbol for creation, destruction and transformation. What an interesting connection was made to my own personal life and experiences. You see, today was one of those days when you feel drained. I left work and as I was driving home I started thinking about myself. My life. And where it is headed. I often find myself having my deepest self talks in the car. Maybe it soothes me? So I began thinking about Avery's Garden...my not-for-profit efforts and that I haven't heard back about my 501c3 application. When I got home I pulled out my last letter from the IRS. If I am approved I should no by 90 days which will be the 22nd of this month. My stomach dropped and my mind started to wander. My inner voice: What if we are denied? What if I did something wrong on the application? Is my baby's cause not good enough...am I not good enough. I should just give up. I have never been anything. Tara, stop. My inner voice is interrupted. 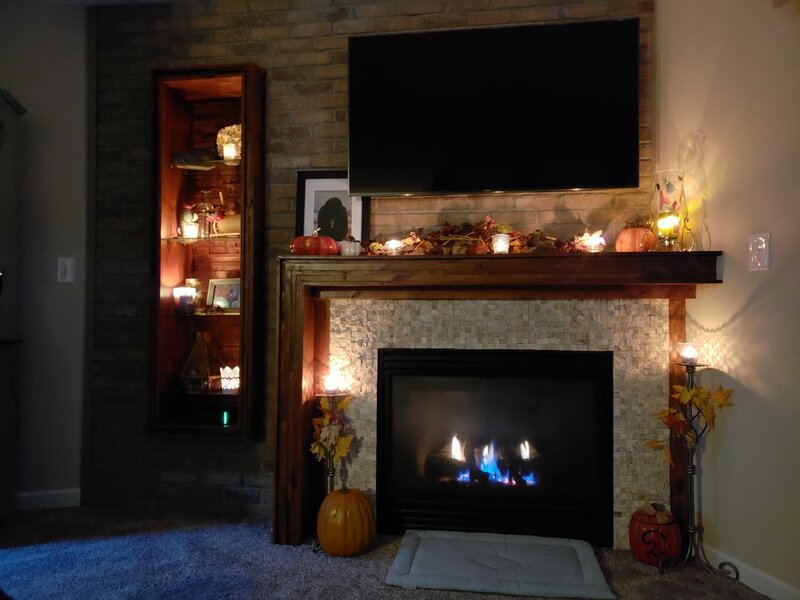 I start lighting candles to distract my attention and turn on my fireplace. Alone in this room, I lay on the couch. I decided to research fire to determine the special meanings behind this element. The element of fire is our inner light as well as the living symbol of the fire that burns in every soul. Fire consumes but also gives back to the universe with warmth and light. Just as coals begin to dim, if you tend to them and feed them, flames will rise again. That's me, I quietly think to myself. Just as the smouldering coals of a harvest bon fire, I must be cared for. Tended to in mind, body and soul. I found a way in the interpretation process to say this at the end. Inner voice with fire: Girl, since when do you give up? You're tired, then rest! Kick back and enjoy quiet with softly flickering flames. You will find your path. Trust me, we got this.